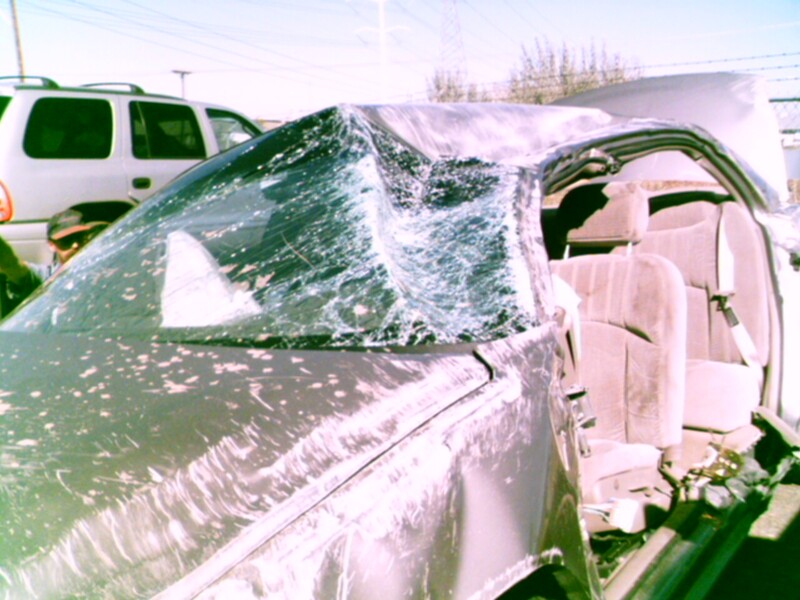 At the end of January, 2004, I was rear-ended while waiting at the light on Bangerter and 7000 South by a driver who had fallen asleep at the wheel. The driver fled the scene on foot as his car was badly damaged as well, but he was apprehended. He did not have insurance. My first car lost its trunk, and I lost it. I was unconscious for at least 8 minutes as a result of this collision. On 12 October, 2005, my dad picked me up from the airport returning from a business trip to Japan. Southbound on Bangerter Highway, we were rear-ended while in motion by a driver trying to pass a third vehicle. The driver made an attempt to make his vehicle fit into the space already occupied by ours, which propelled us across the median. When we came up the other side, a torque moment was created due to the net weight difference between the passenger side and the driver side. We rolled across the northbound lanes, at least three times. 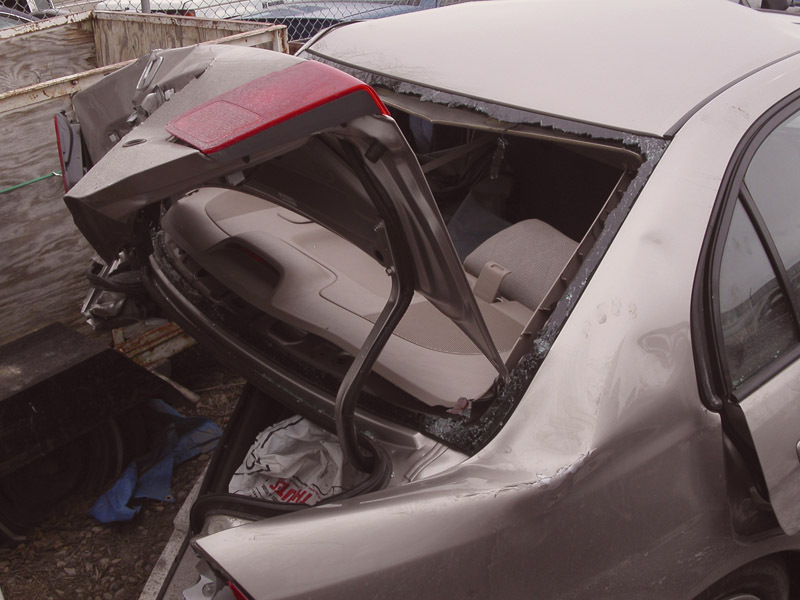 Some say it was less, but the first time was when my window broke, the second time was when I looked down out my broken window and saw the asphalt thinking, “If the car keeps rolling I’m going to die!”, and once more to land upright. The position and orientation of the car made it look as though we had merely pulled off the road, but for the car. The other driver fled in his car. They had to use the jaws of life to get my dad out. The mark of the jaws of life? No doors.